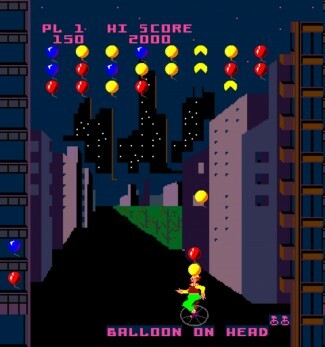 Player controls a man on a unicycle who must catch or pop balloons with his pointy hat. Balloons that get by the player can be kicked back up in the air. Ghosts and Pac-Men can also be caught, but not bombs. On the first screen, if each balloon is kicked before it is popped, a bonus will be awarded.